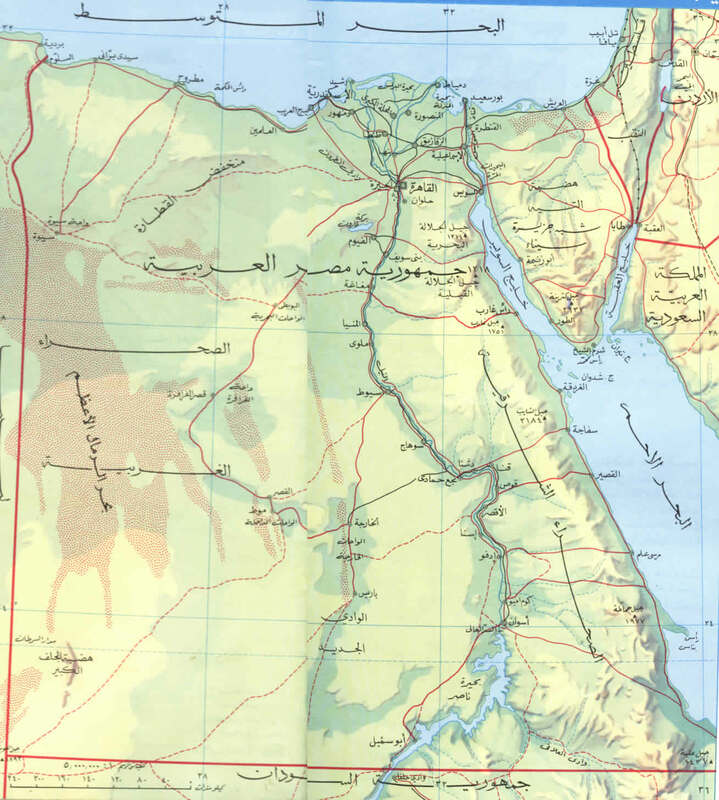 Road and railway map of Egypt. 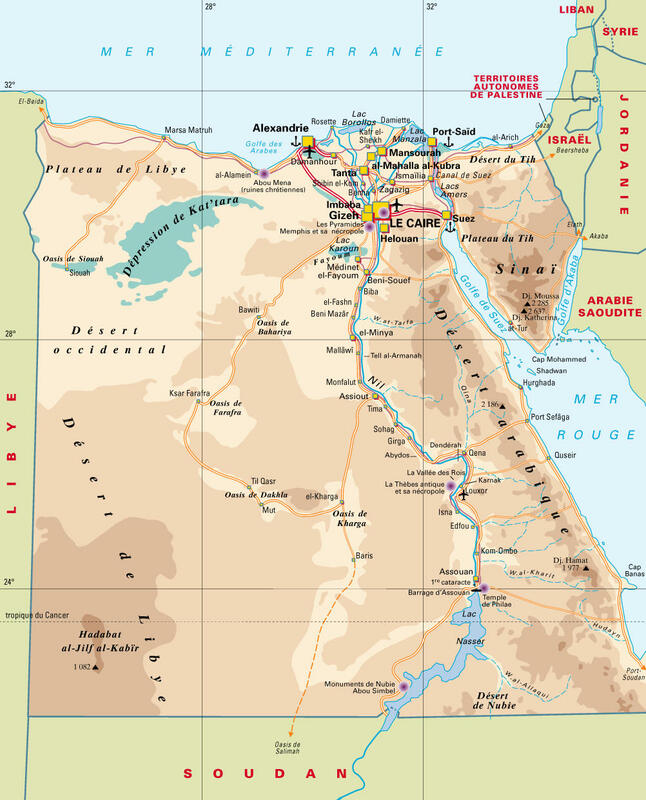 Detailed map of aéoroports and deserts of Egypt. 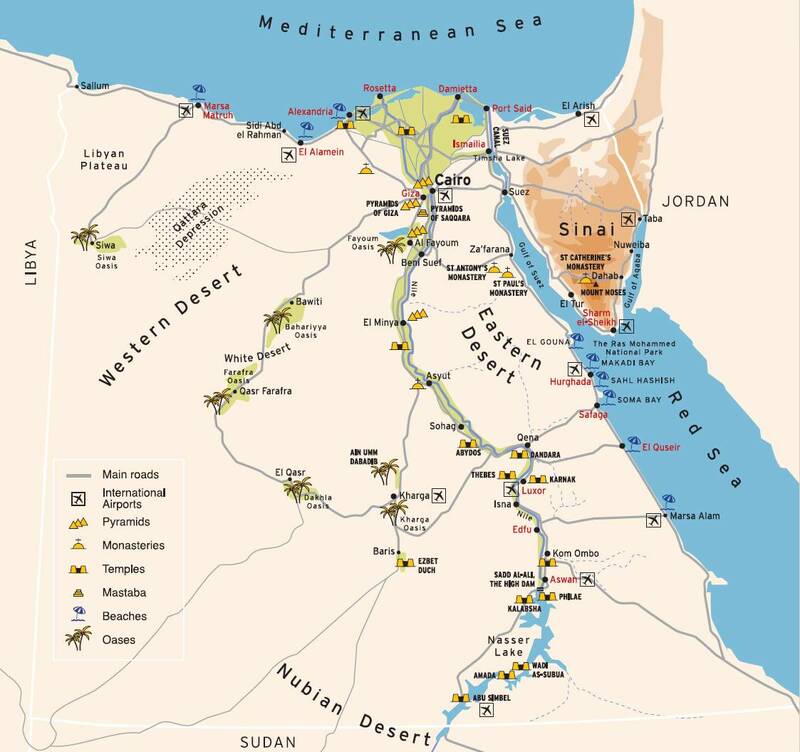 Map of Egypt pyramids, temples, beaches and oases. 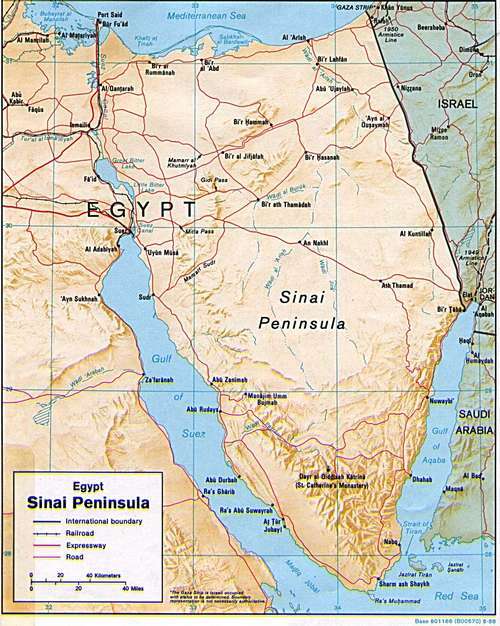 Map borders and cities of Egypt. Map of cities and lakes of Egypt. 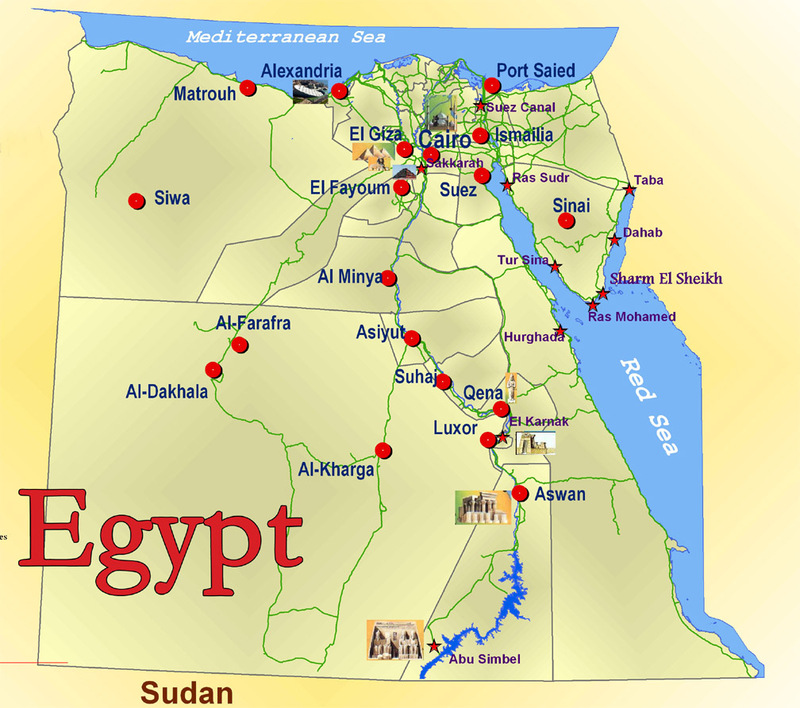 Small map of the cities of Egypt. 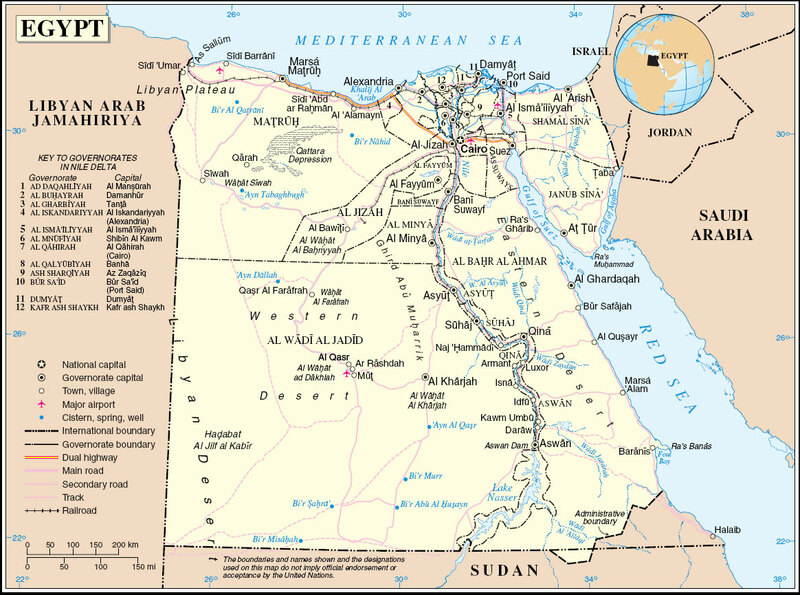 Large map of Egypt with the cities. 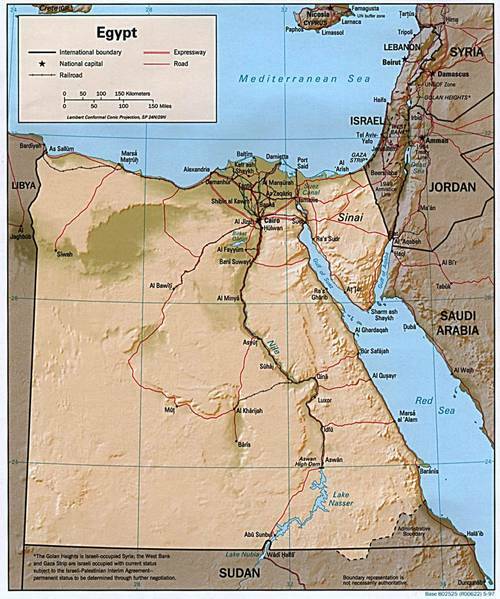 Map of Egypt in Arabic.